In the past few years, the Internet has emerged as.. In the past few years, the Internet has emerged as a powerful marketing tool that helps all types of businesses in promoting their services and products throughout the world without spending too many marketing dollars. Today more than $478 billion of business is being carried out online and is expanding. The best thing about online marketing is that you can compete with big businesses and even rule your niche. Every thing rests on proper search engine visibility because more than 96 percent traffic comes through Google, Bing and other search engines. But without proper knowledge of fundamentals of SEO (search engine optimization) or web marketing, it’s really hard to reach your target audience. 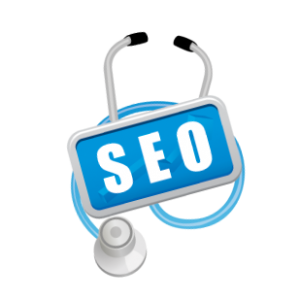 Choosing the best SEO company is important for achieving higher search engine rankings and penetrating deep into the target markets. When buyers search online, they enter some keywords in their search browsers to get some results. These keywords play a crucial role in getting a list of relevant content that is displayed for the user, plus the order in which it is listed. A content that has well researched keyword phrases and keywords are more likely to be picked by search engine bots and have potential of reaching target markets. In-house teams of top SEO services can easily identify the right keywords and help their customers in enhancing their online presence. Content that is fresh and relevant is more likely to be recognized by search engine bots. This means, your content needs to be original, well-formatted, and grammatically correct to get noticed. Also, high quality content is much easier to read for the buyers and is more likely to convey the right message about your company, and its services or products. It’s important that all your articles, blog posts and press releases have well-crafted headlines because they need to catch the attention of search engine algorithms and customers. Headlines should be 65 characters or less and should also have lots of relevant keyword phrases included in them. In fact, including keywords into the headlines is not easy, but will help in enhancing the ranking of the content. Writing good content won’t help without a solid call-to-action somewhere on your webpage. It should have a powerful message and should encourage readers to submit their order form or make a phone call for additional information. Without a clear call-to-action, readers may simply move away from your website or may lose interest if they don’t find answers to their questions. That’s why creating an attractive webpage with a business-specific call-to-action is one of the cornerstones of SEO service. It’s important to have links to credible reference pages for a enriching content and avoiding all copyright infringement issues. Mostly, search engine algorithms use page links as one of their ranking criteria. Professional SEO firms can help customers with link building to optimize their online content. SEO service helps businesses in increasing their online visibility, brand recognition and ensure a good return on their online marketing campaigns. By working with a good SEO firm, you can reach thousand of new customers via the Internet in a meaningful and cost-effective way. If you are looking for a reliable SEO Company to work with we recommend Managed Admin out of Phoenix Arizona. They are good friends of ours and have hundreds of satisfied return customers.